8 So which are the best ear plugs? 11 What are NRR & SNR ratings? 12 What are H/M/L Ratings? We always say that if you’re riding any distance, stick in some ear plugs to protect your hearing. There’s loads of resources online to tell you exactly how noisy it gets when you ride your bike – but the bottom line is that you can do permanent damage to your hearing if you ride: the higher the speed, the longer the time and the less sound-insulating your helmet, the quicker you’ll damage your hearing. So always wear plugs when you ride. Simple. But are all ear plugs made equal? And if not, which ones should I use? Well, I’ve been riding for 40 years (OK I started riding when I was ten – I’m not THAT old!) and I had no idea. I bought a massive pack of bog-standard foam ear plugs years ago and I’ve been slowly working my way through them, but I’ve no idea if they’re really any good. So, I decided to splash out on a wide selection of cheap ear plugs and road test them all to find out which work best. At the bottom of the article, we explain some of the ratings you’ll find on earplugs, how to fit them and how they work with bluetooth sets. But for now, on with the findings. I’ve been wearing these plugs for years ever since I bought a gigantic bag from a long-forgotten dealer. I don’t think I’ve ever really looked at them in detail but turns out they’re called Max Lite and they’re from Howard Leight (SNR 34). I’ve had them for well over 10 years (might be closer to 20 even) and they seem to work well. Each pair were in a little bag that has kept them fresh for all that time with very little degradation – none that I’m aware of at least. To fit them, I roll them up lengthways then push the tapered end in and let them expand. That’s the way you’re supposed to do it and they do stay in place and give a reasonable level of protection like that. I can hear people talk OK and get the impression that the worst of the noise is being cut out. However, if I want more protection (which I do most of the time) I’ve also taken to rolling them up and fitting them with the big end first. I found this gives masses of noise protection – probably double the standard amount. The plugs seal my ear perfectly and hardly any noise gets in – to the point that, with my helmet on, I can barely hear anyone speak. I suspect that folks with small ears probably won’t need/want to do this. But if you’ve got a larger head and larger ears, then you might want to give that a go too. Anyhow onto the test. I tested out a couple of pairs of each of the following ear plugs over a number of rides and I’ve jotted down how they seemed to me. Obviously, the results are entirely my perception but I hope you find it all helpful. The mellows look like your bog-standard foam ear plugs. Their 22 SNR rating means they should attenuate (i.e. cut out) 22 decibels of noise. (see bottom of the page for explanation). They were reasonably OK to fit, sealed well and I felt they gave a moderate amount of protection. They are flat-cut at the ends so not quite as comfortable for reverse fitting. Overall, I’m scoring these an average 5. These 3M Classics are yellow tubes – much bigger than your typical foam ear plug and a coarser foam which I thought might be rough on the ear. But they didn’t feel it, and, because they’re that much larger, they expanded really well in my ear to fully seal it and really cut out tons of noise. They score really highly on Amazon too. 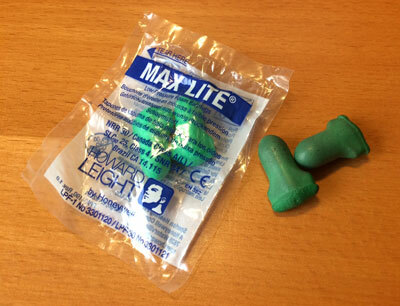 The Moldex look like your run of the mill ear plugs but they feel a bit firmer than most. Roll them up and stick em in and they fit nice and firmly. And crucially – as their higher SNR rating suggests – they cut out a decent amount of noise. They don’t feel quite as secure as the 3M Classics for me, and because they don’t pack your ear tubes tight in the same way, they let in more noise. But if you’ve smaller earholes or the 3Ms feel too tight and uncomfortable, then these feel comfy and put less pressure on your ears. Like most foam earplugs, these Bilsom 303L (the L stands for large but you can get them in M or S too) are made from polyurethane, and their SNR 33 rating means they should be good for medium to high noise environments. I found they fit compressed/expanded quickly and gave a similar level of noise suppression to the Moldex 7700s. Polyurethane foam plugs These come in one size only which is suitable for a larger adult. The foam on these plugs is pretty firm and I found them more difficult to get a decent tight seal. After adjusting them a few times (i.e. poking them in further) I got a decent seal and they really quietened things down. But because they took more adjusting to get it right, I’m going to mark them down a bit. These are another set of polyurethane foam plugs. The foam on these Laser Lite’s is nice and soft and pliable, making them easy to roll up to insert in your ears and soft when they expand. I found them best if they’re reversed for my ears (see ear plug fitting below) and plugs like this with a T-shaped bottom end rather than flat-cut plugs like the rest on this test are best for a comfortable reverse fit. When they were in, they were really comfortable and cut out loads of noise. Soft plugs that work well. Score – 9 > Click here to check out a pack of 20 for next to nothing on Amazon! 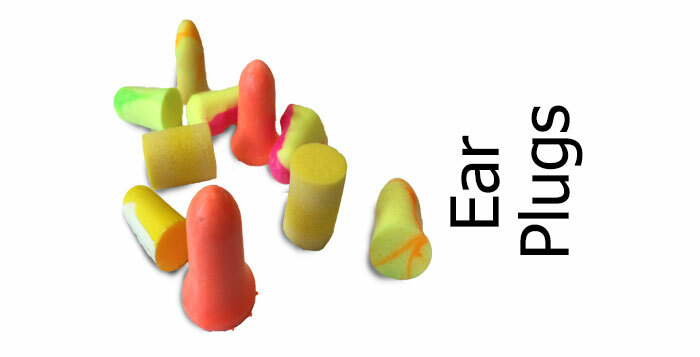 So which are the best ear plugs? Well, after riding with the 3M E-A-R Classics and the Laser Lites, I’ve found both work amazingly well. But after using both for about 3 years now, the Laser Lites have edged it for me. The E-A-R Classics might not have the highest noise cancelling rating (SNR rating) but they’re big, fit well and knocked off lots of noise when I tried them. Maybe it’s because they fit so easily and well that they seemed to cancel out just as much noise as higher rated ear plugs. But they were also slightly less comfortable over long term use for me so I switched to the Laser Lites and I’ve never looked back. They roll up nice and small but expand comfortably in your ear. 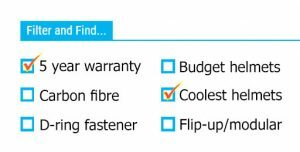 And a pair lasts and lasts so they’re amazing value for money too. So I’d recommend both of the above plugs. If you try both, I’m convinced you’ll find one or the other works great for you too. And if you’ve smaller ears, you’ll find many of the plugs I tested available in smaller sizes too. I also found some of the other soft polyurethane foam plugs worked well, especially if I reversed the fitting so the fat end was pushed in first. For me, they generally needed a bit more fiddling around with to get the fit just right, though having said that the Max Lites I’ve been using for about 20 years worked well and usually take me about 10 or so seconds to fit so they can’t be too much of a nuisance! They’re all designed to be rolled lengthways between the fingers so the foam is tightly compressed, then pushed in the ear canal, pointy end first (except for the 3M E-A-Rs where you can use either end). Most folks I’ve spoken to reckon they pretty much ram them in and they might need pushing in a couple of times before the plugs expand adequately and deeply enough to seal the ear canal. Personally, with the soft foam plugs I’ve tended to use, I push them in fat end first so there’s more plug to expand and fill the ear. It works for me but if your ears are small and/or you use firmer ear plugs, you might find that’s a bit uncomfortable. And I didn’t need to at all with the 3M EARs. If you’ve got the right plugs and they’re in tightly, you should find it tricky to hear someone talk nearby. You should be OK to wear ear plugs and hear your bluetooth at the same time. It sounds slightly counter-intuitive, but wearing ear plugs can actually make it easier to hear your headset at speed because you’re cutting out all the windblast noise. At least, that’s what I’ve found. 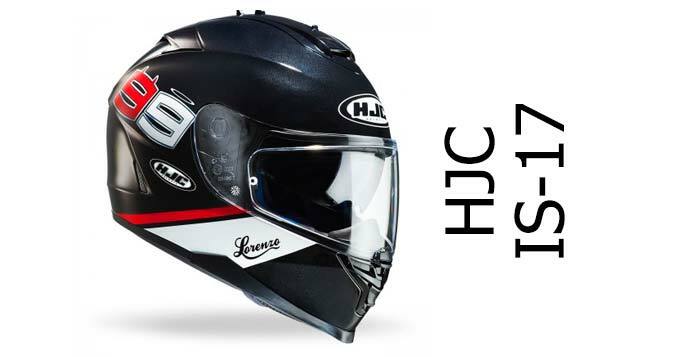 My bluetooth is a very cheap set bought off amazon (that’s the one, in the ad below) but as long as the headphones are positioned well inside the helmet, I can hear other riders up to about 70 mph while wearing ear plugs – which I’m happy with. It’s very much an entry-level bluetooth set that sticks onto the outside of the helmet with sticky velcro – but it’s waterproof with good connectivity and I’ve found it a great starter kit for not very much money, especially if you’re wanting to experiment with bluetooth intercoms (or want to take an audio feed from your bluetooth GPS or Google Maps). What are NRR & SNR ratings? SNR stands for Single Number Rating and is an International ISO standard for noise reduction. NRR is the US equivalent and stands for Noise Reduction Rating. You’ll often find both numbers on the packaging of your ear plugs and the higher the number, the better the noise suppression. SNR is an average figure because different ear plugs will reduce different frequencies at different levels. But the SNR rating shows the number of decibels the ear plugs will cut out. NRR works the same. The NRR rating is the number of decibels (dbs) the ear plug attenuates (reduces the noise by). Because of the way sound attenuation is tested in the labs, some official bodies recommend dividing the NRR rating by two (and sometimes more) to get the true level of attenuation – but I’m not aware of any similar recommended calculation for motorcyclists. As a biker you may well just want maximum protection – so in general, choose an ear plug with a high rating. In industry, folks carefully choose how much noise they want cutting out so they don’t damage their hearing but can still communicate. Personally, when riding my motorcycle, the more noise I cut out, the better. You’ll sometimes find an H, M or L rating on your ear plugs. This stands for High, Medium and Low frequency and gives a numerical rating to the amount of high, medium and low frequency sound they cut out. OK, now grab yourself some of the best earplugs and go RIDE!